Today I'm honored to have Olivia Newport visiting my blog. 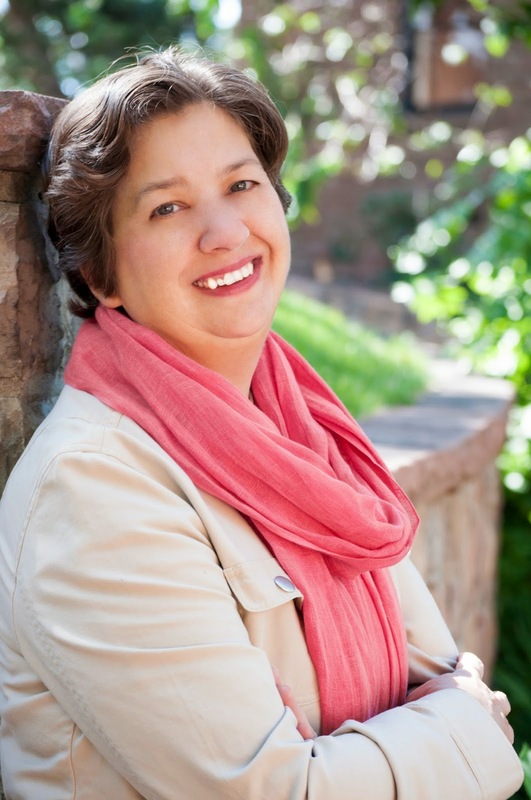 Olivia is the author of historical, Amish, and contemporary stories. She and I are also agent-mates with Books & Such Literary Management. Welcome to my blog, Olivia! Thank you for stopping by to visit and talk about your newest Amish release, Meek and Mild from Shiloh Run Press. Thanks! I’m so glad to be here. For readers meeting you here for the first time, can you tell us a little about yourself and your publication story? After growing up in Chicagoland, and living in California, Washington State and back in Illinois, I’ve lived in Colorado for the last 19 years with my husband and now-grown children. I’ve had a string of jobs where my role was wordsmithing in one form or another. In a sense, I cut my teeth on understanding the purpose and audience for a wide variety of organizational pieces and figuring out how to make them communicate for the desired result. But I've always been an avid fiction reader and wanted to write novels. A few years ago I decided to get serious about it. My first novel, The Pursuit of Lucy Banning, released in 2012. Can you give us a brief synopsis of Meek and Mild? The books in the Amish Turns of Time series put fictional characters in the middle of true-to-history events that in some way affected the development of the Amish. In Meek and Mild, Clara Kuhn and Andrew Raber find themselves caught in the vortex of events that led to the Beachy Amish separating from the Old Order about a hundred years ago. They both have to decide when is the right time to take a stand that keeps them connected both to their consciences and to each other. You write both historical romance and Amish fiction. How did your passion develop for these two genres, and do you see yourself writing in other genres in the future? A few years ago a friend introduced me to the Prairie Avenue Historical District in Chicago, and the result was the Avenue of Dreams series, set in 1890s Chicago. Then I wandered into Amish stories when I discovered a family line that traced to the Amish, and the result was the Valley of Choice series. Now I’m bringing historical and Amish together with the Amish Turns of Time series. But I also had the opportunity last year to write Hidden Falls, a 13-episode serialization available in e-book and audio formats. Hidden Falls has a contemporary small-town setting. I’ve had a blast writing a variety of genres, but when it comes right down to it, they all have a historical element. That seems to be in my writer DNA. Since you write historical fiction, I’d love to know your favorite historic site you’ve ever visited. Oh, so many options! I love visiting small local museums, such as the home of a town founder or industry leader. It seems to me that these places always have enthusiastic docents who love to showcase their town’s history. On a larger scale, one museum that stands out in my mind is the Glessner House Museum in Chicago, which was the inspiration for the Avenue of Dreams books. Tours are open to the public, but a friend is a volunteer docent there, and a couple of times he got permission to take me on behind-the-scenes private tours where I got to see parts of the house most people don’t have access to. I’ve heard that some authors need a special environment to write in (music, comfy chair, coffee shop, quiet room, desk, etc.). Do you have a special place you like to write? I have a couple of different set-ups in my home that I can turn to depending on mood or ergonomic needs. In the summer, I’ve been known to get comfortable in the hammock on the patio. Sometimes on Saturdays if the house is too noisy I go to a coffee shop in the morning and the library in the afternoon. Now that I think about it, it doesn’t sound like I’m too particular, does it? Wherever I am, classical music is my style of choice. There’s something about the rhythms and pace of Vivaldi and Mozart, for example, that seem to keep my brain clicking along. Thank you for taking the time to answer my questions, Olivia. It's fun to get to know you a bit better and to learn more about your writing. READERS, IT'S YOUR TURN: What is your favorite historic site? Olivia has been kind enough to offer a free copy of her new release to one lucky winner! Please fill out the Rafflecopter below for your chance to win. 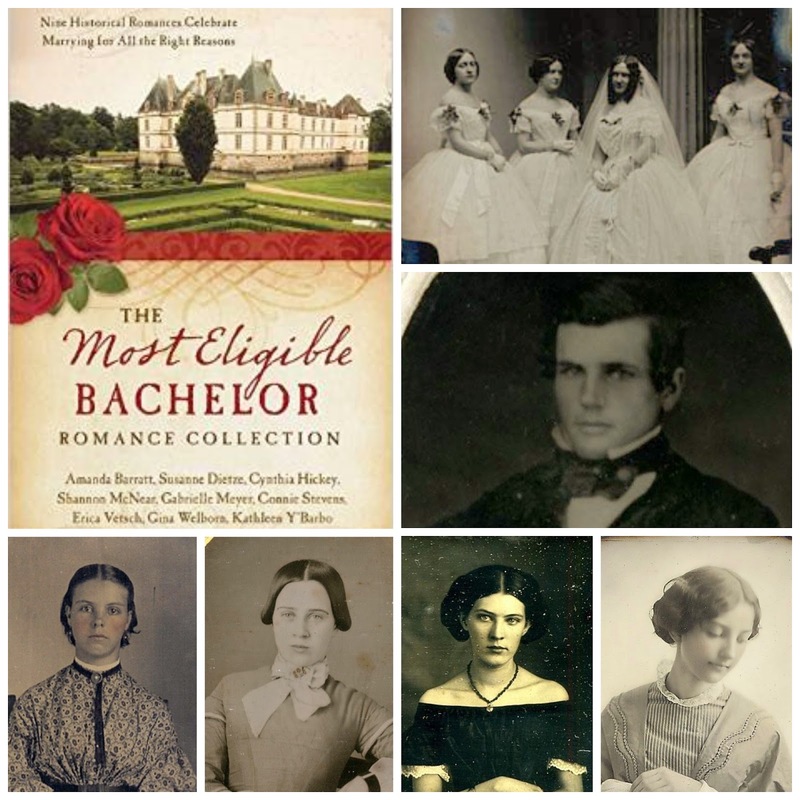 Olivia Newport’s novels twist through time to find where faith and passions meet. She chases joy in Colorado at the foot of the Rockies, where daylilies grow as tall as she is. 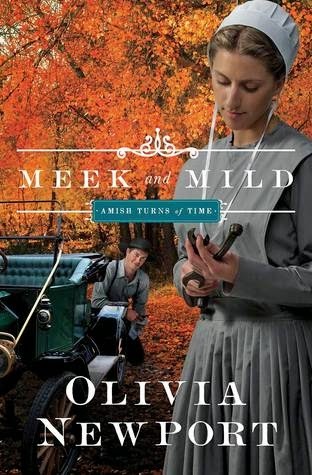 Meek and Mild is book 2 in the Amish Turns of Time set, which began with Wonderful Lonesome and will conclude with Brightest and Best later this year. Suddenly shun has become a serious word for Clara Kuhn. As 1917 approaches, her Amish church’s aging bishop is coming down hard on members who dally in untraditional practices—like offering Sunday school for children—and Clara’s gift for telling Bible stories to little ones collides with new mandates. The young Pennsylvania Amish woman had always moved freely over the state line to visit family in the more progressive Maryland district, but now those visits are coming under scrutiny by some members of Clara’s church. On the verge of accepting Andrew Raber’s marriage proposal, Clara is unsure what to make of his new hobby to rehabilitate an abandoned Model T. Just how ward can they push against the bishop’s wishes? 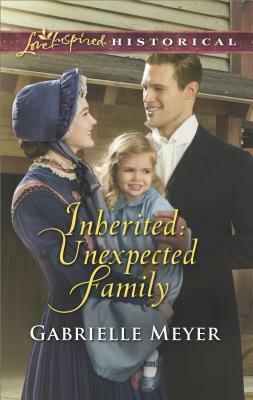 As the chasm widens between Old Order Amish and the Marylanders, and tensions rise between longtime friends and close-knit family, Clara and Andrew must look inward to examine their own hearts and consciences and, above all, seek Gottes wille—God’s will. Today I am honored and privileged to reveal the debut cover for one of my writing friends, Pepper Basham. Her debut novel, The Thorn Bearer, releases on May 7th. I was thrilled when she asked me to share her brand new cover! 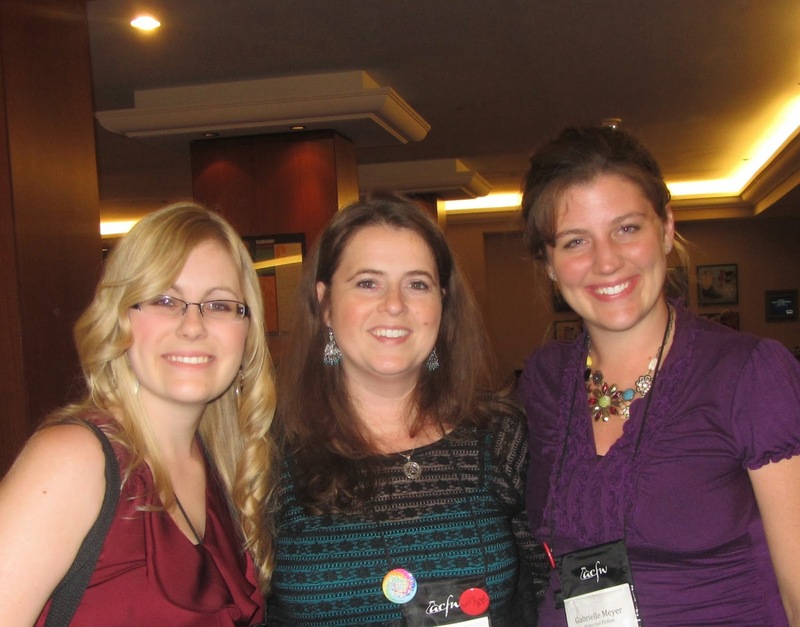 I met Pepper online a few years ago, and then in person at the 2012 ACFW Conference. Pepper is one of those rare and unique individuals that makes you feel rare and unique, as well. She has a contagious smile and a sweet, sweet spirit. I'm honored to have her here today. Be sure to read to the end to see the cover reveal! Welcome to my blog, Pepper! Thank you for stopping by to visit and talk about your upcoming debut releases. I feel honored to be the very first blog!! I'm sure there will be many, many more. :) For readers meeting you here for the first time, can you tell us a little about yourself and your publication story? Well, I wear a lot of hats as a music minister’s wife, mom-of-five, and speech-language pathologist, and I think the many ‘hats’ inspire my love for various genres. I’m a native of the Blue Ridge Mountains on the border of NC and VA and come from a long storytelling tradition, so my love for story began at my granny’s knee. I’m a big fan of chocolate, jazz, laughter, and dress-up, and I LOVE spending time with other writers. It’s been a very long road. I’ve written ever since I was a little girl, but I didn’t start pursuing publication until about ten years ago. I started with Writer’s Digest and The Christian Writers Guild in hopes of learning the craft – and then I began my faithful conference visits. All along the way I worked full-time and added kids J Writing happened in the nooks and crannies of my life. I learned, wrote, submitted, received rejections….and started the process again. That's an amazing publication story! I love how God shows up at the perfect time, with the perfect agent, and the perfect stories to pitch to publishers. Speaking of the perfect stories, can you give us a sneak peek at the stories you have releasing this year? I have two novels coming out soon. 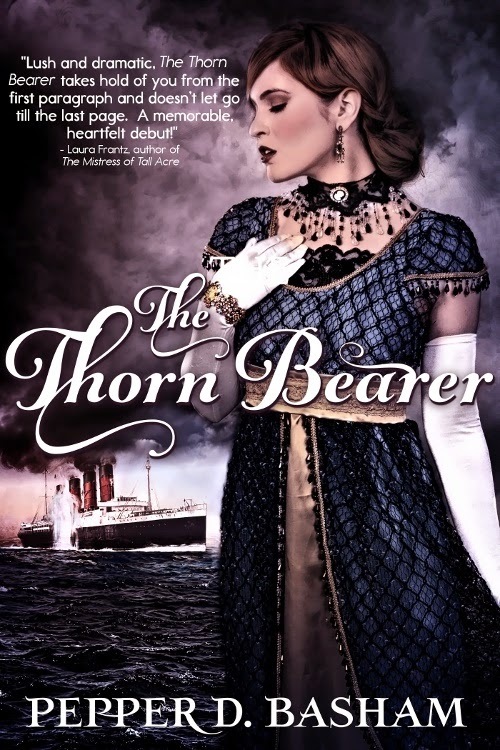 My debut, The Thorn Bearer, arrives in May and is a WW1 era historical romance. With the backdrop being the Lusitania and WW1, it is a very dramatic novel about friendship, forgiveness, and love. Be forwarned – it can be a little dark too. We have a sinking ship on our hands. Historical: Ashleigh Dougall survived a painful past only to find her future in jeopardy aboard the ill-fated Lusitania. As she and her childhood friend, Sam Miller, face the tragedies both outside and inside themselves, they learn forgiveness and friendship can lead to something greater than either ever imagined. But Ashleigh’s secrets may be too dark for anyone to accept, even her best friend. Can she learn to release the pain from her past, savor the promises of the present, and believe in the hope of the future? Then this summer, my first contemporary romance, A Twist of Faith, comes out. It’s a modern-day version of My Fair Lady with an Appalachian Twist. As a speech-language pathologist, I really had fun with this one! Contemporary: The Language of Love doesn’t have an accent. 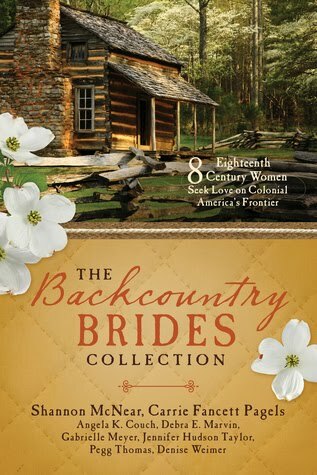 Dr. Adelina Roseland is determined to get out of backwoods Appalachia at all cost – even if it means making a wager with her arrogant supervisor to turn cattle farmer, Reese Mitchell, into corporate world material in two months. His accent is thick, but the love that binds his family is thicker and opens up a longing in Dee for a place called home. But will the truth of the wager end her future hopes with Reese and can forgiveness teach them both to speak the language of the heart? The third book is a middle reader fantasy/steampunk that I’m coauthoring with two game designers from New Zealand. It’s slated to come out in late fall or early winter 2015. All of those sound amazing! I love WWI (my current WIP is set during that era), and My Fair Lady is one of my all-time favorite stories. I can't wait for all of them to release. You write in a variety of genres. I’d love to know where your passion for each genre comes from. I’ve always been in love with a ‘fantasy-like’ story, basically stories that have some sort of element of ‘magic’. Magic can be anything from the wonder of falling in love to the powerful amazement in the imagination of other worlds. I’m a big fan of history too, especially the Victorian era-WW1. There was so much ‘creativity’ and ‘imagination’ going on at a fast pace during that time. Author Cathy Hake once told me to “write where the passion is” and until someone decided to publish my books, that’s what I did. It just so happens that God’s decided to keep me in various genres even in publication. This year I’ll publish the historical, contemporary, and co-author a middle reader Steampunk J CRAZY! That is crazy, but so amazing, too! Besides being a wife, a mom, and a published author, you also have a day job! Can you tell us a little about it? I love being a pediatric speech-language pathologist! My specialty is Autism, especially highly verbal Autism and Social Communication Disorders. Up until last year, I worked in a university setting, but last year we moved to Asheville, NC and I began working back in the clinic-scene. Right now I serve a couple of charter schools in Asheville and hope to ‘someday’ focus most of my therapy on social communication. My charter schools are great, though. Fun kids! Fantastic teachers! I'm sure they feel the same about you. I'm amazed you find time to write! I’ve heard that some authors need a special environment to write in (music, comfy chair, coffee shop, quiet room, desk, etc.). Do you have a special place you like to write? And – you never know what kind of inspiration you’ll find in the middle of the everyday. My kids are a constant source of inspiration! I do enjoy those rare moments of focused writing time, but, thankfully, they’re not a necessity. I audio record in my car, scratch out info on napkins while waiting in the carpool line, and sometimes take my lunch break to edit a scene. I guess I’ve learned to seize the moment – whatever moment God provides – to encourage this dream. Pepper, it's been so much fun hosting you on my blog! I'm excited to see what the future holds for you and your writing. Thanks so much for hosting me, Gabrielle. You’ve made my day! Now, it's my pleasure to reveal Pepper's debut cover for The Thorn Bearer, releasing May 7th!! Ahh!!! There are so many things I love about this cover! The mood is dark and stormy, yet full of mystery, intrigue, and beauty. I love the era and setting, and am eager to meet Ashleigh Dougall. Not only is this cover stunning, it has an endorsement from the amazing Laura Frantz. Congratulations, Pepper! Your Turn Reader: What do you think of that cover?!?! Isn't it stunning? Please join me in congratulating Pepper. The winner from last weeks drawing for a Navy Seal Noel from my interview with author Liz Johnson is: Susan Johnson. Congratulations, Susan! I'll be in touch. 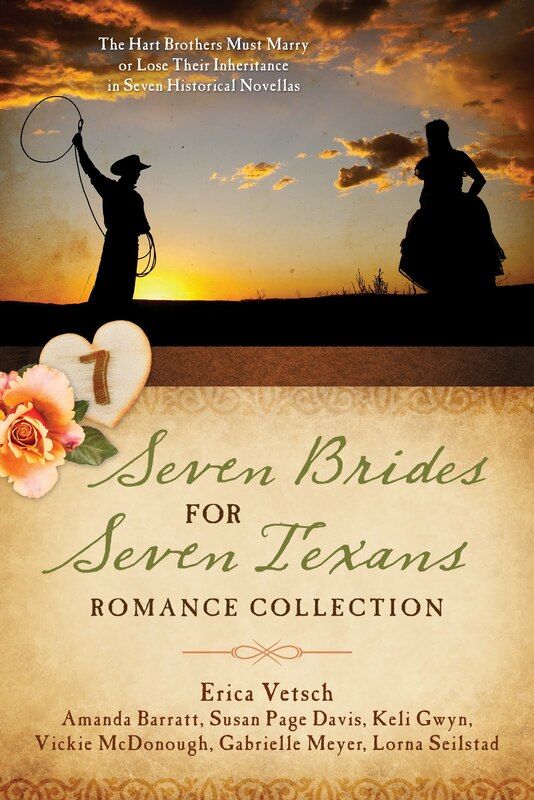 I took one more step towards the publication of Four Brides and a Bachelor. The galley edits arrived! A collage of the images I used while writing my story. in this photo than she is in the story! ), Genevieve & Sarah. Which one will capture Luke's heart? After the book is laid out and formatted, a copy is sent to the author and this is called the galley edit stage. According to Wikipedia, "Galley proofs [or edits] are so named because in the days of hand-set letter-press printing, the printer would set the page into galleys—the metal trays into which type was laid and tightened into place—which would then be used to print limited copies for proofreading. The printer would then receive the edits, re-arrange the type, and print the final copy." Some galleys are printed on paper and sent to the author for final proof, and some are sent electronically, as mine were. This is the very last time I'll have a chance to change anything in my story. I'm able to make small changes, here and there, but nothing major. The time for the major edits has come and gone. I was especially excited to see the galleys, because it's the first time all nine novellas are in the same place. I was able to take a sneak peek at the other stories in the book! You guys are in for a treat!! Your Turn: Have you ever heard of galleys before? For writers, what is your favorite stage of the publishing process? For readers, what stage do you think you'd enjoy most? 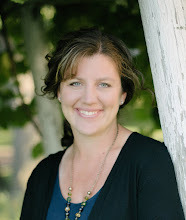 Today I'm welcoming Liz Johnson to my blog! I met Liz at the 2014 ACFW Conference in St. Louis, and then spent more time with her at our Books and Such Literary Management Retreat in Monterey, in October. Liz is such a sweetheart, and so funny! She's here to talk about her latest release, Navy Seal Noel, and to give us a sneak peek at her next release. Welcome to my blog, Liz! I’m thrilled that you stopped by to visit today and talk about your newest release, Navy Seal Noel and your upcoming series with Revell Publishers. Hi! I’m so excited to be here today. Thanks for inviting me over for a chat! By day I’m a not-so-mild-mannered marketing manager for nonfiction books at a Christian publisher. By night I spin wild stories of love and suspense. I live in Nashville and love to spend my free time exploring the history (especially Civil War era) and harmonies of Music City. I wrote my first short story at age seven. At twenty-seven I signed a contract on my first book, The Kidnapping of Kenzie Thorn. In those twenty years I wrote a lot of really, really bad books. I also took some classes, went to some writers conferences, and read a lot of other books. And one day my writing started to get a little bit better. My most recent romantic suspense, Navy SEAL Noel, is my seventh book with Love Inspired Suspense. 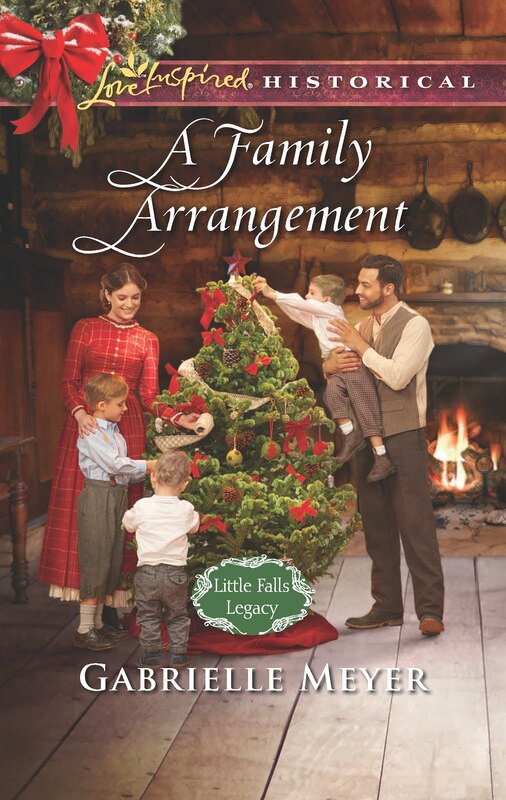 I’ve also gotten to write an historical novella (Civil War era, of course) and a handful of short Christmas stories for Guideposts Books. I'd love to explore the history of Nashville! I'm a fan of Civil War era history, as well. Can you give us a brief synopsis of Navy Seal Noel and a sneak peek at your next release? Navy SEAL Noel is about scientist Jessalynn McCoy, who is abducted by a drug cartel and ordered to release a deadly toxin, or she’ll be killed. Trapped with no options, she's desperate for help…she just never expected it from Will Gumble. The boy who let her down years ago is now a navy SEAL. She trusts his skills, his experience. Yet trusting him is a struggle. Will's wish is to heal their damaged relationship and get them to safety. But time is running out and someone is on to their escape plans. Any mistake could mean the difference between facing the rest of their lives together or apart. Forever. My next release is a little over a year away, so I don’t have a lot of details to share yet. I will say that it’s a contemporary romance set on Prince Edward Island that follows the lives of four people trying to open a bed and breakfast. It’s the first in a three-book series from Revell Publishers. You had me at Prince Edward Island! :) I’ve heard that some authors need to have a special environment to write in (music, comfy chair, coffee shop, quiet room, desk, etc.). Do you have a special place you like to write? I’m not terribly picky. I like to be in a comfy spot—I do have a writing chair that is incredibly comfortable—and have a diet dr. pepper close by. When I’m on an urgent deadline, everything about my house becomes suddenly very interesting, so I usually have to find a back corner at a coffee shop or Panera and plug in my earbuds to get to work. And I definitely have to have music playing—something that puts me in the mood of the scene I’m writing. I had to giggle. Deadlines are a fickle thing, aren't they? One part panic, and the other part--oh, look at the spots I need to mop on my floor... I know you made the move from your home state of Arizona to Tennessee. What have you found is the biggest difference in culture? It's hard to say what the biggest difference is. Perhaps it’s cliché to say this, but Southern hospitality is a wonderful part of Nashville. I’ve never lived in a place where so many people are just genuinely kind to strangers. I saw it firsthand when I moved here five years ago, just in time for the flood that destroyed so much of Nashville. When the waters receded, people walked out of their homes and went door-to-door offering to help their neighbors tear down and rebuild. Some churches collected so many items for donation that they couldn’t find enough people who needed the donations. I attended one benefit concert that was so packed, I had to stand in the very back of the auditorium the entire show. Nashville loves to care for its people and neighbors, and I love that about living here. That's such a nice thing to say about Nashville. It's wonderful to know that neighborliness is still alive and well. Here’s one more question, just for fun. I saw on your blog that you can talk about bad made-for-TV movies for hours. J What is the worst movie you’ve ever watched? I do love cheesy made-for-TV movies! They make me so happy. But the one that drove me crazy (in a bad way) was about a woman who wrote a book, which outlined what she’d like her love life to look like with a fictional guy named George. She sent her manuscript off to a publisher, who immediately bought it and produced a huge hardcover print run in a month. Then the author confessed that her book was not true, and there was no man named George in her life. The publisher demanded that the author find a George stand in for media appearances. So the author found a guy named George and thought he had all the qualities she’d been looking for, but maybe her childhood friend was actually a better match for her. This movie got everything (EVERYTHING!) about the publishing industry wrong. Books don’t miraculously get edited, typeset, proofread, designed, printed, marketed, and distributed in a month. It takes a long time to release a book. The movie also showed zero understanding of the word fiction (seriously? When was the last time a novelist had to present one of her characters in real life?). And in this particular film, my favorite part of most movies—the romance plot—just fell flat. But there are so many wonderfully cheesy flicks out there. Hallmark Channel especially knows how to take advantage of all my favorite romance tropes—marriages/relationships of convenience, secret identities, and reunion romances. Their Christmas movies are one of my favorite parts of the season. See, I told you I could talk about made-for-TV movies for hours! Thank you for answering my questions, Liz! I can’t wait to read your next release. It’s been a pleasure having you visit my blog. Thanks so much for having me here, Gabe! What a treat to visit with you and your readers. 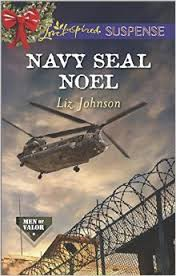 Liz has generously agreed to give away a copy of her book, Navy Seal Noel, to one lucky winner! Be sure to leave a comment and enter the Rafflecopter for your chance to win. Also, be sure to stop by Liz's Facebook page and like it to stay updated on her books! YOUR TURN: Do you have a favorite (or least favorite) made-for-TV movie? Have you ever been to Nashville? Or Prince Edward Island? Where would you rather go? 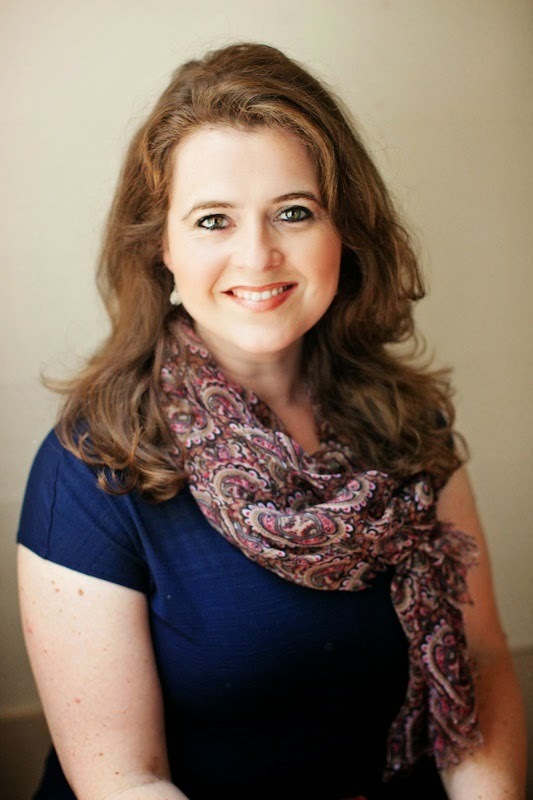 By day Liz Johnson is a marketing manager for a Christian publisher. 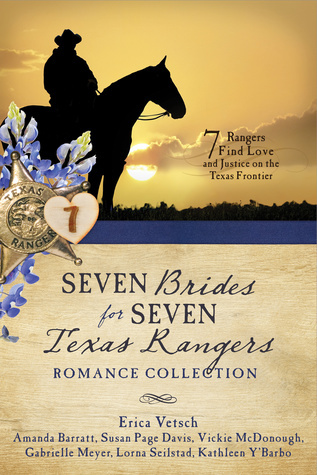 She finds time to write late at night and is a two-time ACFW Carol Award finalist. Liz makes her home in Nashville, TN, where she enjoys theater, exploring local music, and making frequent trips to Arizona to dote on her nieces and nephews. 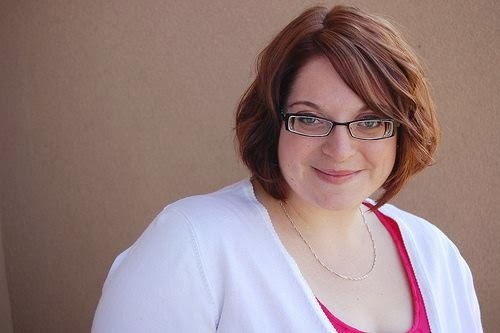 She loves stories of true love with happy endings and shares about her adventures in writing at www.LizJohnsonBooks.com. Abducted by a drug cartel, scientist Jessalynn McCoy's orders are simple—produce a deadly toxin, or be killed. Trapped with no options, she's desperate for help…she just never expected it from Will Gumble. The boy who let her down years ago is now a navy SEAL. She trusts his skills, his experience. Yet trusting him is a struggle. 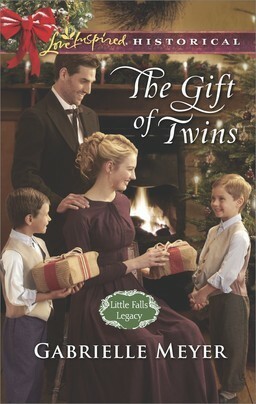 Will's Christmas wish is to heal their damaged relationship and get them to safety. But time is running out and the stakes keep rising. Any mistake could mean the difference between facing the holidays together or apart forever.